It seems as though that no matter where I live, I always find a neighborhood restaurant that becomes "my spot". 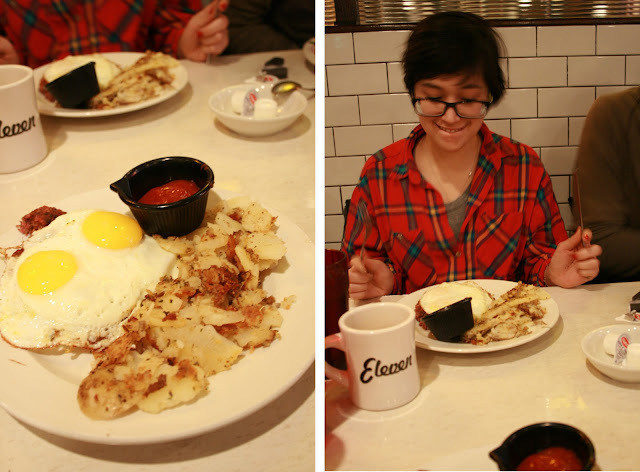 I have a few in the South Loop that I like to frequent, but the one I go to with out-of-town-friends and almost always when I'm hungover is Eleven City Diner on Wabash and 11th. A Jewish diner and deli with a giant menu complete with brunch/lunch/weekly specials and your token celebrity named entrees including the Lou Reed and the Jeff Garland. 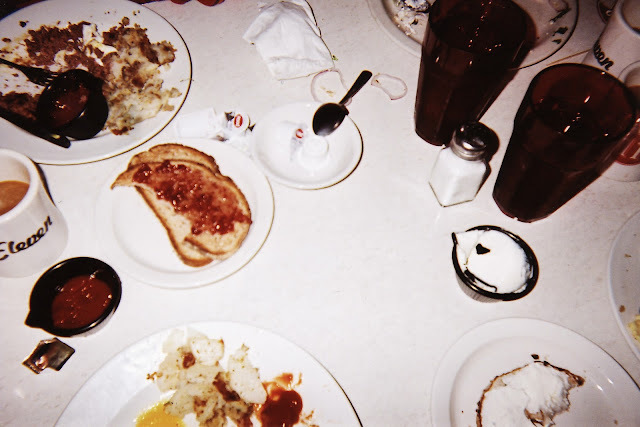 While it's not my all-time-favorite diner, it's close to home, always serves up corned beef hash hot and quick, and the cream soda and never-ending coffee always have me leaving satisfied and sluggish. If you ever come to visit, I promise we will go here for brunch or a late night snack!